Jose Antonio Villarreal illuminates here the world of "pochos," Americans whose parents come to the United States from Mexico. 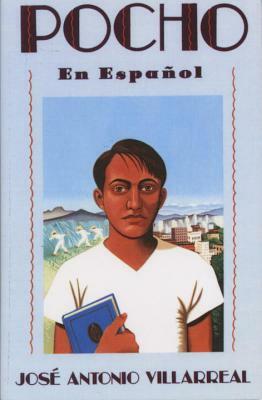 Set in Depression-era California, the novel focuses on Richard, a young pocho who experiences the intense conflict between loyalty to the traditions of his family's past and attraction to new ideas. Richard's struggle to achieve adulthood as a young man influenced by two worlds reveals both the uniqueness of the Mexican-American experiences and its common ties with the struggles of all Americans—whatever their past. Jose Antonio Villarreal was born in California, where he spent most of his life, although he traveled extensively over the course of the years. The son of a Mexican migrant worker, he received a degree in English from the University of California, Berkeley, in 1950 after four years in the navy. He then lived and taught in Mexico, Colorado, California, and Texas. He is the author of The Fifth Horseman, Clemente Chacon, and Pocho. He died on January 10, 2010.